هتل فرست بانگالو بیچ ریزورت سامویی یکی از هتل های 3 ستاره سامویی می باشد که در ساحل چاونگ واقع شده است. یکی از ویژگی های هتل فرست بانگالو بیچ ریزورت سامویی رستوران و استخر آن است که در بیرون از هتل قرار گرفته است. فاصله هتل فرست بانگالو بیچ ریزورت سامویی از پتبونچا(استادیوم بوکس و موی تای تایلند) حدودا 1.7 کیلومتر و از فرودگاه بین المللی سامویی 5 کیلومتر می باشد. در ادامه در مورد فاصله هتل فرست بانگالو بیچ ریزورت سامویی از جاهای دیدنی سامویی و چاونگ اطلاعات کامل تری آورده شده است. هتل فرست بانگالو بیچ ریزورت سامویی دارای امکانات مختلف و متنوعی می باشد، به عنوان مثال برخی از اتاق ها دارای چشم انداز دریا هستند و خود هتل هم دارای ساحل اختصاصی می باشد. همچنین خدمات گردشگری داخل جزیره نیز به میهمانان داده می شود. برای اطلاع بیشتر از امکانات هتل فرست بانگالو بیچ ریزورت سامویی و خدمات رفاهی اتاق های آن می توانید به انتهای همین صفحه مراجعه نمایید و موارد را که به صورت مجزا ذکر شده اند، مطالعه فرمایید. هتل فرست بانگالو بیچ ریزورت سامویی را به صورت آنلاین رزرو کنید! 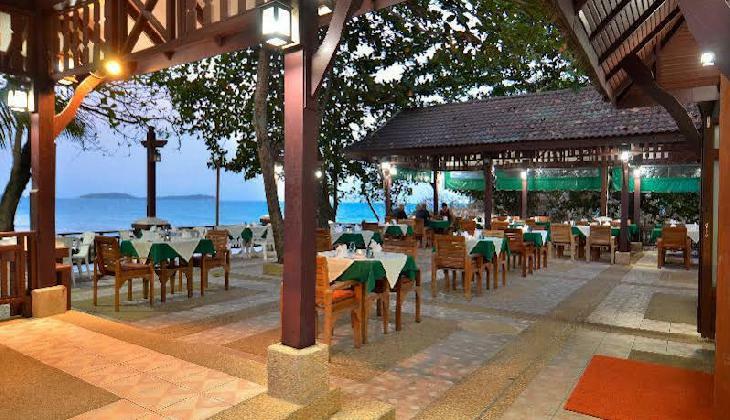 This luxury Thai style bungalows are on the famous Chaweng Beach. Each is equipped with distinctive four-poster bed with mosquito net drapes. 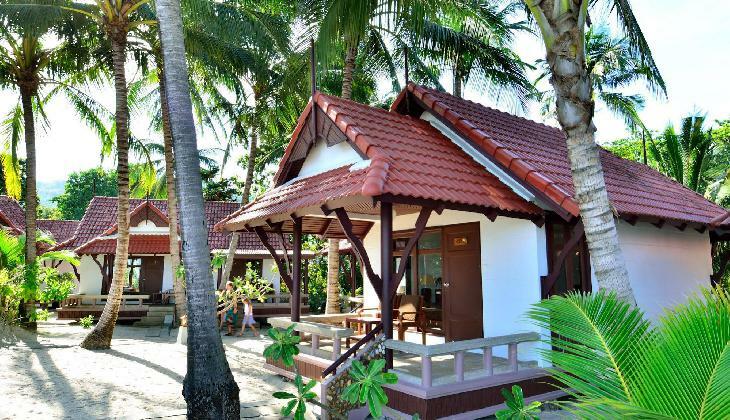 All bungalows are fully equipped and set amongst the private peaceful tropical garden. 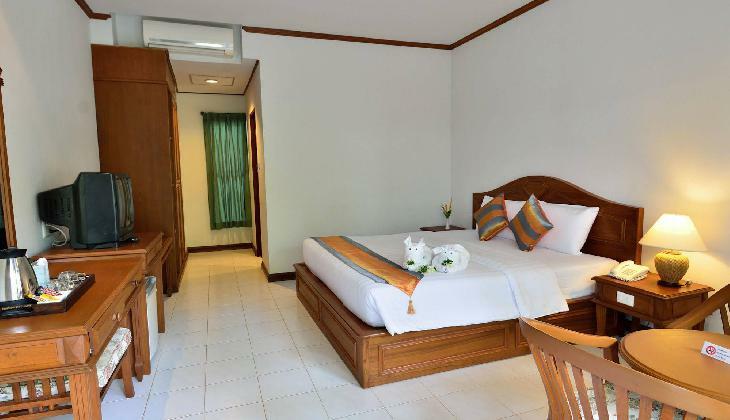 Located directly on white sandy Chaweng Noi Beach. 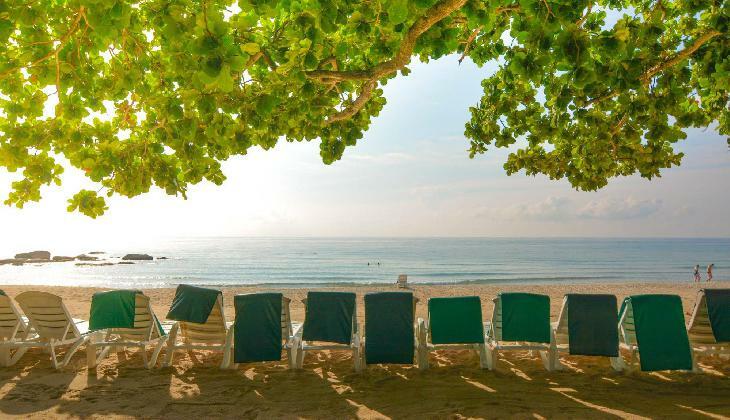 The private beach is an ideal spot to watch sunrise over the ocean waves and sunset in the backdrop of the plush tree groves on the main land behind. It is also nice to swim and sunbathe. All bungalows are fully equipped and renovated to be more attractive, adorable and cozy. Deluxe Bungalows are set around the swimming pools and jacuzzi area. 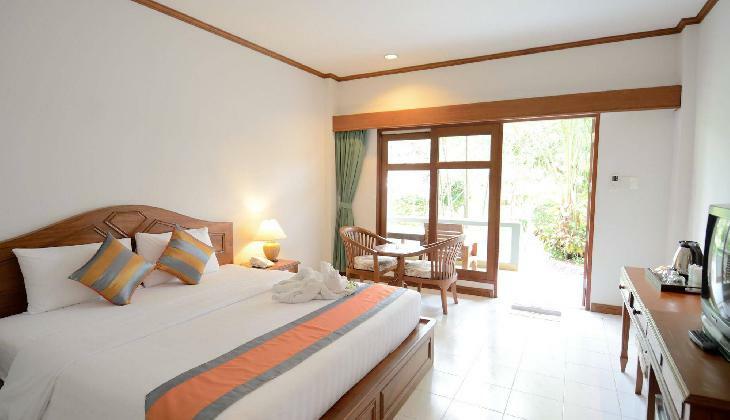 All bungalows are fully equipped and also all enjoy view of the tropical garden. Connecting bungalows are available. 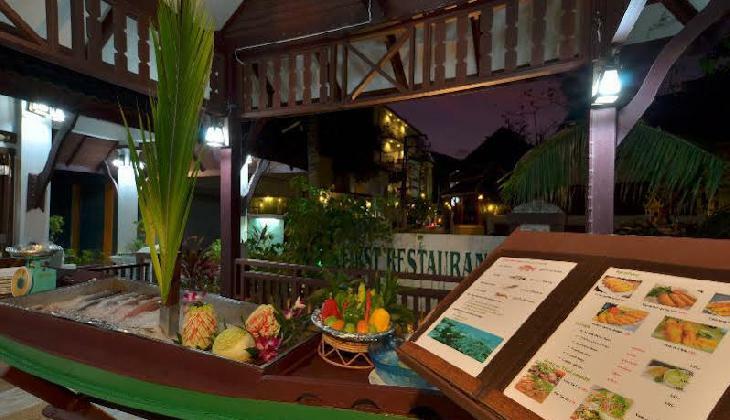 * For your dining pleasure, the resort offers a cosy restaurant that serves Thai and international delicacies as well as seafood. 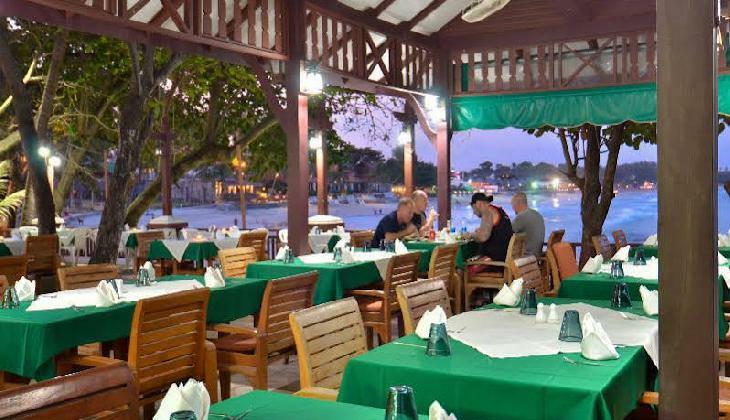 You can also enjoy a fine drink either at the pool bar or at the beach bar. * During leisure, you can browse the net, take a relaxing swim in the pool or refresh your body with a traditional Thai massage. 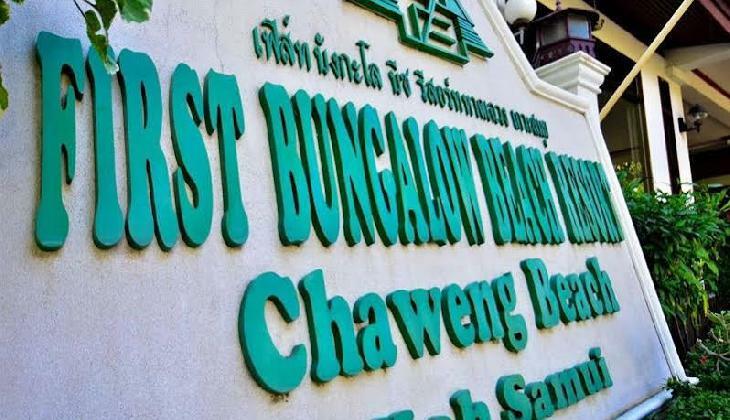 The First Bungalow Beach Resort also offers facilities such as currency exchange and faxing service for your convenience. * Swimming Pool, Outdoor Jacuzzi and Swimming Pool for Children. 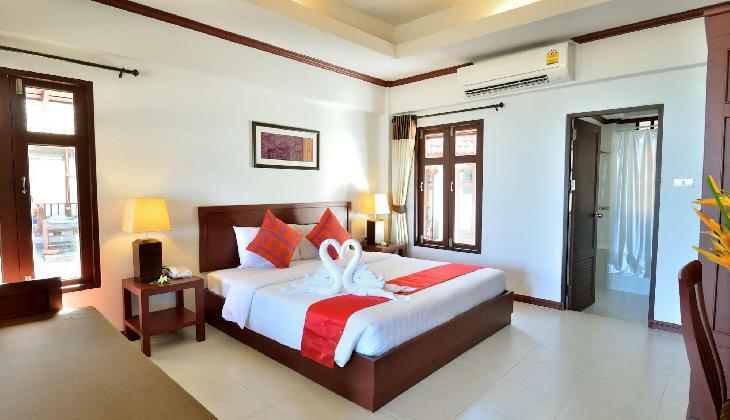 Located on the connecting point of Chaweng Beach and Chaweng Noi Beach, the First Bungalow Beach Resort is just a 5-minute drive from Chaweng Shopping Area and 25 minutes from Samui Airport.